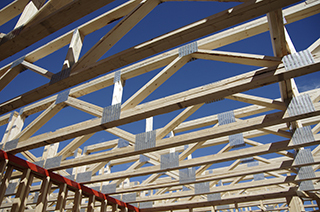 Floor trusses are the solution to many floor framing problems. 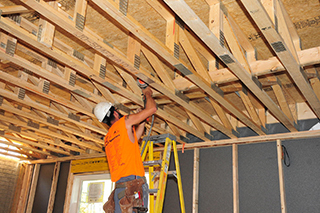 Architects, engineers and contractors are using floor trusses to create high quality, squeak-free construction with the added benefits of reduced framing time, waste, and callbacks. Design versatility and the open space provided between the chords and webs of floor trusses for mechanical and plumbing runs offer tremendous advantages for today’s complex and sophisticated building designs. Floor trusses are built with 2x4s or 2x3s with a wide, stable bearing surface that is easier to work on and around. The wide nailing surface provides for easy gluing and quick, accurate attachment of sheathing, reducing squeaks and improving floor performance for the life of the structure. The spacing of floor trusses allows for maximum structural efficiency and speed of installation. 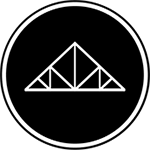 Stiffness and strength can be designed into the floor truss, creating a more solid floor. Shrinkage, warping or twisting are minimized. Long spans and girder truss options reduce the need for intermediate bearing walls, beams, columns and footings – saving time and construction costs. The open web configuration leaves plenty of room for plumbing, electrical and mechanical runs. Floor trusses provide opportunity for shallower or deeper depths. Bearing: Structural support, usually a beam, wall, or post that is designed by the building designer to carry the truss reaction loads to the foundation. 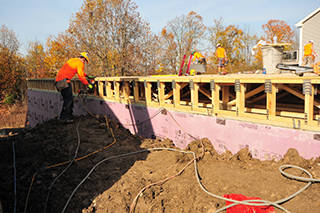 Floor Panel/Deck: A preassembled unit of floor joists, subflooring, finished flooring, and sometimes ceiling below supported by walls, columns, or beams. Overall Depth: Vertical distance between bearing and the uppermost point of the peak.